Every newbie blogger would have a strong goal to make money out of blogging with Google Adsense. I personally know many people who looked out blogging as an income source. The only reason behind is they have seen many bloggers making huge income with Google Adsense. As most of the newbies can’t afford the hosting they simply go with Blogspot blog. Some newbies redirect their blogspot blogs to custom domains (Ex: Blogname.blogspot.com redirects to Blogname.com). In spite of free dedicating hosting there are few drawbacks of Blogspot platform. You might be interested in how to choose best web hosting. So that is a different story. Getting Google Adsense account disabled is a nightmare for publishers. They would lose their hard-earned earnings and eventually there are no chances to get started with it again. Scary , huh? The newbie bloggers must not jump straight away into Google Adsense with 10-15 posts. Firstly they must understand the blogging and its prospects. Later once they are aware of it then they can apply for Adsense and other networks. You might be interested to know why new bloggers should not blog for the sake of Adsense. There are very few cases where publishers got their Google Adsense back after being disabled. The chances of getting your account are like 1-2%. But, 98-99% they don’t do it. It happened to me as well. Not every blogger is responsible for their Google Adsense accounts to get disabled. Some things are beyond their control. If someone intentionally clickbomb your ads, your account is gone. Not every blogger can provide 100% evidence of invalid click activity. So I wrote a blog post named An insight into the Adsense-Good and Evil in 2014. So what to do next if your Google Adsense account disabled for some reason is the big question. For me sponsored posts and direct advertising worked like a charm. Initially I was bit frustrated after loosing hard-earned money from Adsense. But I later tried other adsense alternatives like Bidvertiser, Infolinks, Chitika and Clicksor. The revenue was not high as what Adsense gave me. But, to my surprise I earned few dollars as a referral income from these networks. The advertising scenario has complete changed. Gone are the days when people completely depend on Google Adsense alone. There is hell lot of ad networks in the market. The only thing is publishers must check how the ads of specific ad network perform before getting into it seriously. My sincere advice to publishers is to monitor the ads performance for 7 days. Generally any ad network takes 1 week to optimize the ads completely. If it worked well you can try it on your other sites too. If it didn’t work for you for any reasons just skip to other network. PropellerAds Media is somewhat better for me when compared to other networks. But, the problem is they pay low for Asian traffic sites. Many people are making decent income with Media.net too. In the initial days people looked Media.net as the best Google Adsense alternative. But slowly they lost their charm because of huge competition and low rates for some niches. Many bloggers complained that they are not paying well for Tier 2 and Tier 3 traffic. Infolinks is still a good alternative for small bloggers. Adsterra is good so far and bloggers are happy with the results. Google Adsense account disabled publishers can try these ad networks to monetize their sites. Pop up/Pop under ad networks pay well when compared to mainstream online ad networks. So far PopAds network is amazing when compared to others. The average CPM is $1 per 1000 ad impressions. The best thing is you can also use pop ups along with Google Adsense. For instance you are a web designer or a content writer and you want people to hire you for the services. The solution is creating a ‘Hire Me’ or ‘Hire Us’ page. The page could be dedicated to your skills and you must clearly state what services are you offering. If people like your content then there are a lot of chances to hire you for their services. I personally receive great requests from clients via my Hire Me page. You can even use freelancing or Gig sites like Upwork or Fiverr to monetize your skills. If you think that you don’t have any other skills then try to figure out your hobbies. Make a list of them and select the best. Start a blog related to it and keep writing unique articles. After getting adequate traffic apply to Google Adsense again. So don’t worry if your Google Adsense account disabled. You can monetize your skills too. Affiliate marketing is the best proven method of generating revenues. Affiliate marketers are making hundred of thousand of dollars per day. It is a risk free job as you don’t need to bother about customer support. But marketing products is not as easy as said. It requires a lot of work prior to making huge money out of it. The very first thing is to build trust with others. People don’t buy products or services just because your content is great. They have to trust you. You must give them attention by helping and replying to their messages or comments. The second thing is research the market and trends. You need to analyse your audience and narrow them according to location. Study their behaviour and target them. Publishers whose Google Adsense account disabled can work full-time on Affiliate marketing. You might be interested to know why serious internet marketers should not use Adsense. Are you interested to know whether Clickbank is dead completely. 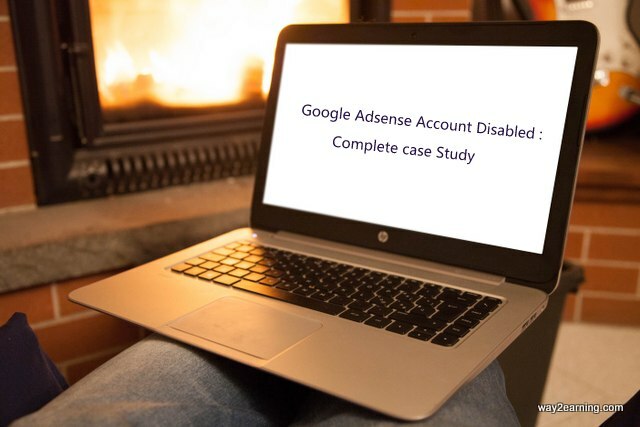 Is your Google Adsense account disabled? Don’t worry CPA networks come to rescue. Unlike CPC and CPM networks here publishers don’t get paid for clicks and impressions. You’ll get paid only if any user takes action like downloading a game or filling a form. But many publishers are making millions from CPA networks. Join Peerfly or MaxBounty and start making some decent bucks. Sky is the only limit here. These are the 5 best options for publishers whose Google Adsense account disabled for some reasons. Don’t worry as there is hell lot of other earning opportunities. People who are victims of Google Adsense and making lot of income can share their stories in the comments section below. Hope you enjoyed my ‘Google Adsense account disabled’ article. People who are having great results with other ad networks which are not mentioned here are most welcome to share their experiences. Nice article came through klinkk. Every blogger’s dream is to have an Adsense account, majority of people rejected and if they got approved failed to make good earnings. The points you have mentioned are worth for many beginners and here are my few tips for those who want to desperate to get Adsense account. 1 – unique articles with proper and simple human readable language. 4- atleast your blog must 6 months old. Affiliate marketing is a quickest way to make money, it depends on the niche and knowledge you have on the product… Over all making money online is not like a daytime job work for 9 to 5 hrs, need lot of patience and knowledge. Hello admin my Adsense account is disabled by google and I want to re-activate please tell how to do it? 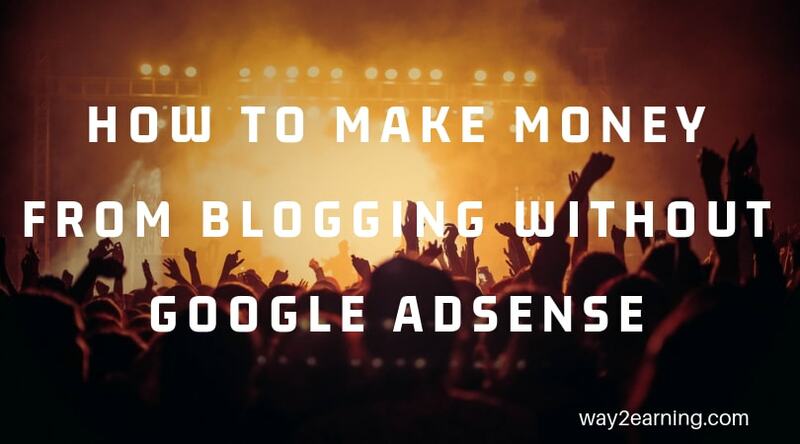 Lots of bloggers think AdSense as the only way to earn online but that’s not true. Some years ago I was depending on AdSense but they banned my account so I started affiliate monetization. I never knew affiliate marketing could earn me so much not until I lost my AdSense. As a blogger , always try to implement different monetization strategies on your blog. The best thing to do when a blogger starts using Adsense is to assume they don’t have it and start looking for other ways to make more money. it can be devastating when it’s gone.